Shrewsbury vs Wycombe predictions for Saturday’s League One fixture at New Meadow. Can the desperate Shrews gain a much-needed victory? Continue reading below for all our free tips and predictions. They’ve often played like a top-half side, or at least they’ve often defended like one, but things haven’t gone to plan for Shrewsbury of late, so much so that they find themselves dangerously close to the drop-zone as the season reaches its climax. After losing on the road in the week, the Shrews will be hoping that a return to New Meadow sparks a much-needed win. They may have lost on Tuesday night, but Shrewsbury were desperately unlucky to do so. It’s not that they didn’t give much away; the Shrews shipped 2.21 expected goals, so it’s easy to see why they conceded twice, though they did muster 2.2 expected goals for, so their efforts certainly merited another goal and thus a share of the spoils. Fortunately, Sam Ricketts’ men have done a better job of defending on their own patch this season, so they should fancy themselves to get a result on Saturday. The hosts have kept a clean sheet in each of their last two at New Meadow, while they’ve shipped a respectable average of 1.0 goal per game in front of a home crowd and have conceded an average of just 1.15 expected goals. Having frustrated both Wimbledon and Doncaster, the Shrews, who’re averaging 1.45 expected goals for on home soil, should be capable of nullifying a Wycombe side that has often struggled at both ends of the pitch away from the comforts of home. Wycombe, who were beaten on home soil by Accrington on Tuesday evening, have now lost each of their last three travelling matches, while they’ve won just one of their last eight. Conceding goals has been a big problem for the Chairboys in recent times; they shipped four away at Peterborough on their last away outing, while they conceded twice against Barnsley prior to that, thrice against Luton before that and twice against Blackpool. In addition to conceding at least two goals in each of their last four on the road, Gareth Ainsworth’s men have surrendered expected-goals numbers of 1.68, 2.03, 2.3 and 2.02, so it’s easy to fear for the visitors ahead of this match. 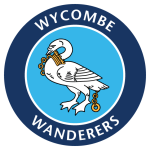 Shrewsbury have sometimes struggled going forward at home, though they ought to be aided by Wycombe’s rather weak-rear-guard, which has offered little resistance away from home of late. All in all, this is a massive opportunity for the hosts, who appear to represent some value at the current prices. They’re up against a side that offered less going forward and a lot less resistance at the back than they have at home. On this basis, they’re backed to take one step towards safety by coming out on top. 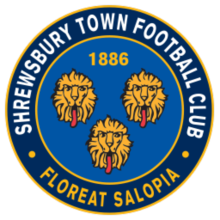 Shrewsbury have an average expected goal difference of +0.30 at home in League One this season. Wycombe have an average expected goal difference of -0.46 on their travels during the current League One campaign. Wycombe have shipped an average of 1.89 goals on the road, while Shrewsbury have conceded an average of just 1.0 at home. Only three teams have conceded less expected goals than Shrewsbury in League One this term.